Amsterdam in summer can be very busy. The canals fill up with boats, the streets with tourists while locals rush by with their bikes. An Amsterdam summer can best be enjoyed combining museums and things to do in the city with a day of nature. Luckily, Amsterdam is a small city and nature is never far away. Many companies have started to offer excursion in nature. Spend the day around the water, watch birds, paddle in the wetlands, visit small villages, see Holland from the water. The Amsterdam Forest (Amsterdamse Bos) lies just south of the city, only a short bike ride or tram ride away. During an Amsterdam summer, the forest is a wonderful area to bike or hike through. The forest has many recreational lakes to swim, canoe, fish and row. A relaxing and original way to enjoy the Amsterdam forest is to go on a boat excursion. In summer, you can board the boat on Saturdays and Sundays for a 1,5 hour excursion through the forest. The boat departs from the Amsterdam Manege (Amsterdam riding school). Tickets are €11,25 and €5,63 for kids. May 11, 25, June 8, 9, 22, 23, July 6,7, 20, 21, August 3,4, 17,18, 31, September 14, 28, 29.
s surrounded by water and where there is water, there is life. Especially the variety of birds in Holland is enormous. Only 40 km from Amsterdam lie the Oostvaardersplassen, a area comprised of lakes rich with bird life. The wetlands are an important spot for migrating water birds such as waders and geese. FlevoBirdwatching is a small company that offers you the opportunity to watch the birds of Holland in real life. Local guides walk you around the area and explain the birdlife in English. The birding tours are private, but individuals can easily join an existing tour. Enjoy a quiet, scenic ride in a vintage electric tram. All summer in Amsterdam, the Museum Tram rides from Amsterdam to Amstelveen on former railway line. The lovely historical trams ride stops 14 times along the way, with 3 stops at the Amsterdam Forest. You are welcome to get out where you want and go back on the next tram. Taking the historical tram is a lot of fun, especially for kids and gives you the chance to get out of the busy streets of Amsterdam. 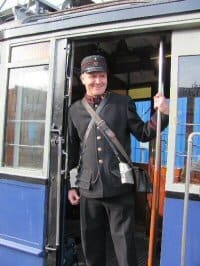 Museumtramlijn starts at Haarlemmermeerstation and rides every Sunday during summer. Departures are every 30 minutes. First departure is 11.00. Taking a canal cruise is a must-do in Amsterdam, but adventurous people might find driving your own boat is more fun. To drive a your private boat in Amsterdam, no special license is required, so you are free to rent your own boat. Find out where and how to rent your private boat in Amsterdam. Active people might be interested in a canoe activity for the summer of Amsterdam. At Wetlands Safari, you will canoe with a group of people through he waterways around Amsterdam, visiting charming villages and stopping for a pick nick with local produce along the way. A guide will lead the way and point to the many birds encouraging you along the way with their singing.